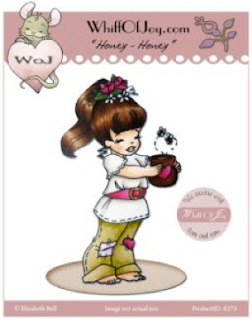 Over at Stamp and Create, check out this weeks Product Spotlight and Weekly Candy!! 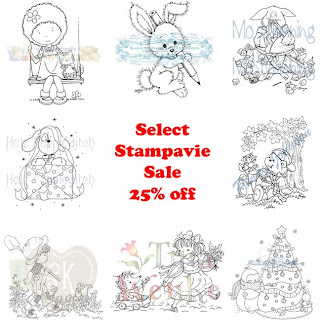 Lacey has a large inventory of select Stampavie Designs that are taking up valuable space!! 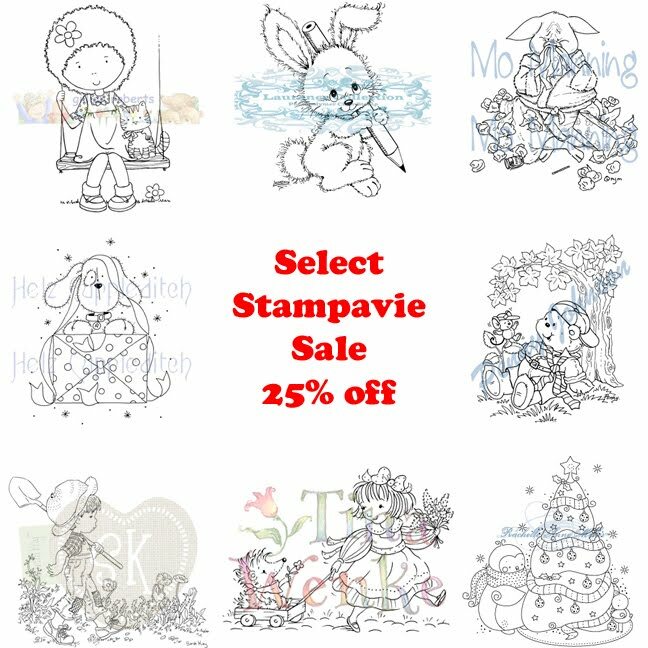 Through Sunday, Select Stampavie stamps are on sale 25% off! 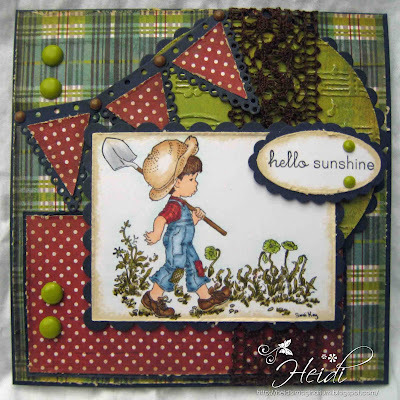 These include designs from: Helz Cuppleditch, Rachelle Anne Miller, Penny Johnson, Sarah Kay, Laurence Collection, Tina Winke, Mo Manning, and Gillian F. Roberts. I used Finn Whistling While he works by Sarah Kay. 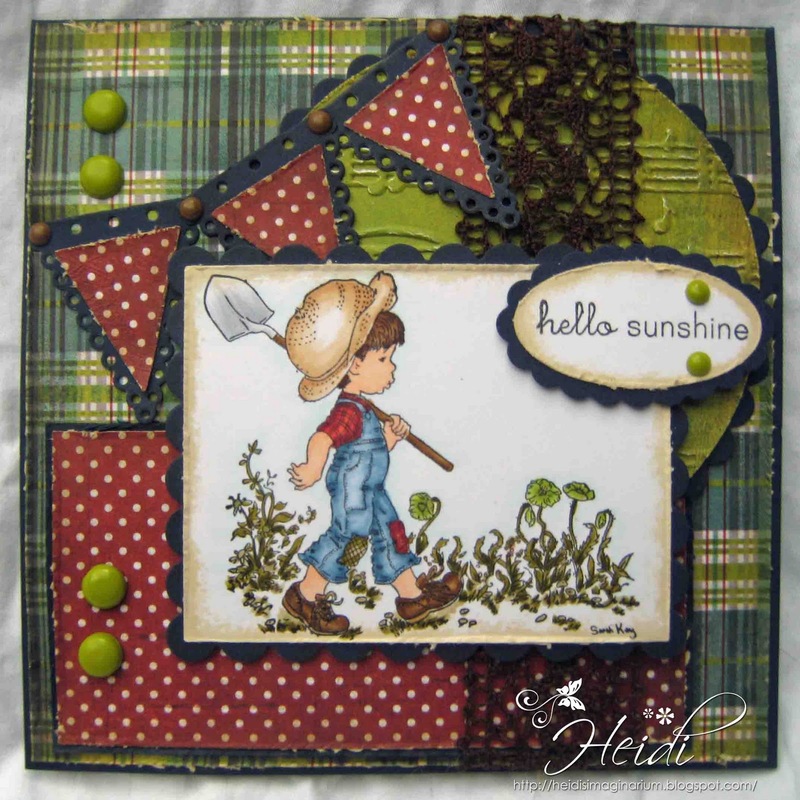 Perfect for a card for a man or boy who loves to spend time in the garden! The paper is Basic Grey Oliver. The pennants were due cut with the Whimsey Banner Pennants Die Set. I also used Basic Grey Lemonade Brads and May Arts Brown Crochet Ribbon.